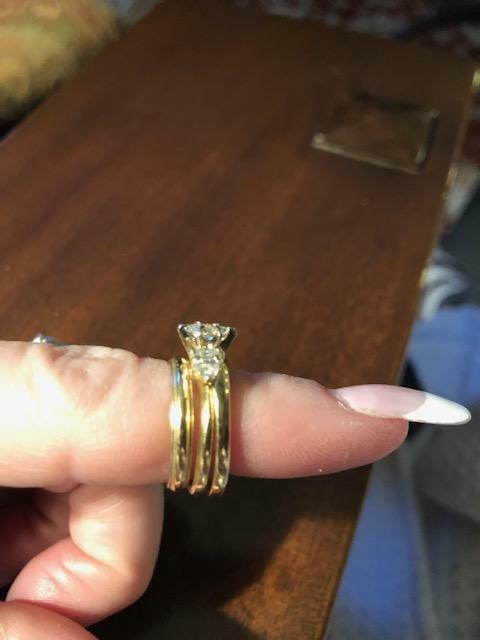 Excellent quality 14kt yellow gold engagement ring with custom made ring guard. 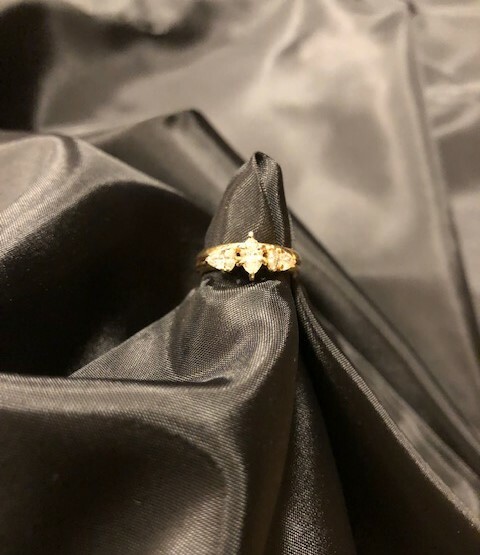 Engagement ring consists of one .25 carat marquise solitaire diamond E-F in color, VVS-2 clarity. 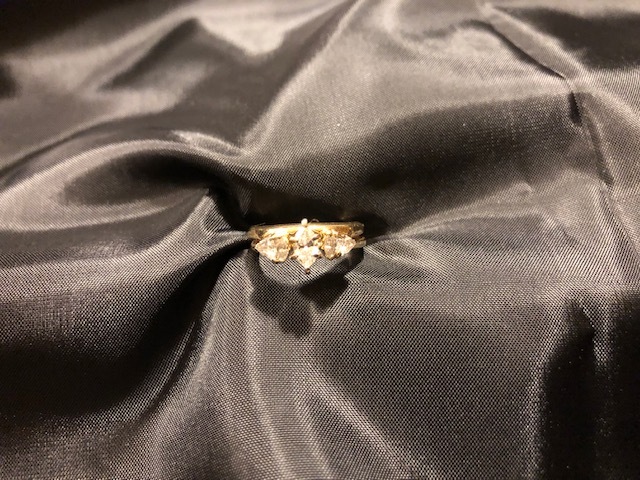 Ring guard was custom designed and includes two marquise diamonds and two trillion cut diamonds. 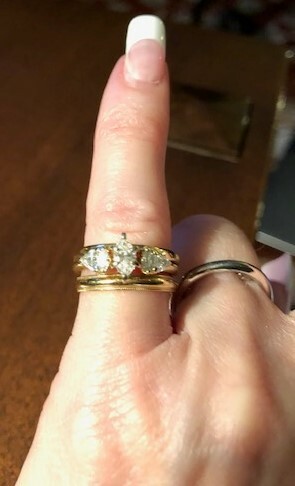 The 14kt yellow gold beaded edge wedding band included in the photos is also included in this sale. 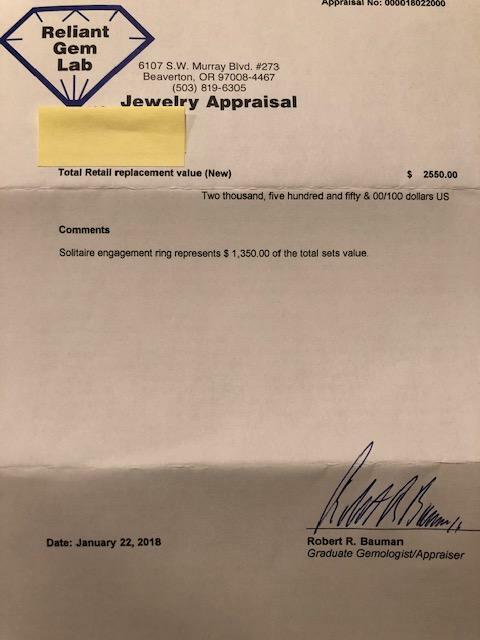 Appraisal attached was for insurance purposes but gemologist's profile states that he is GIA trained and certified. 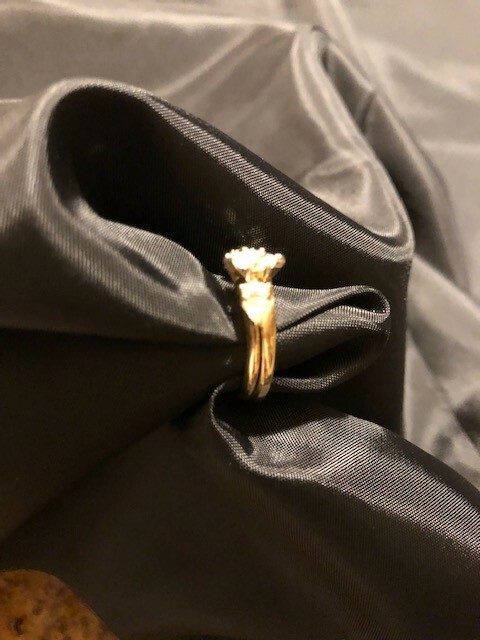 These rings are not welded together and are truly in excellent condition and do not show obvious signs of wear. 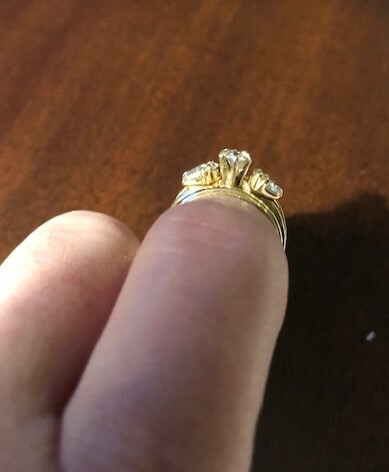 Original engagement ring was purchased from my uncle who owned a jewelry store. 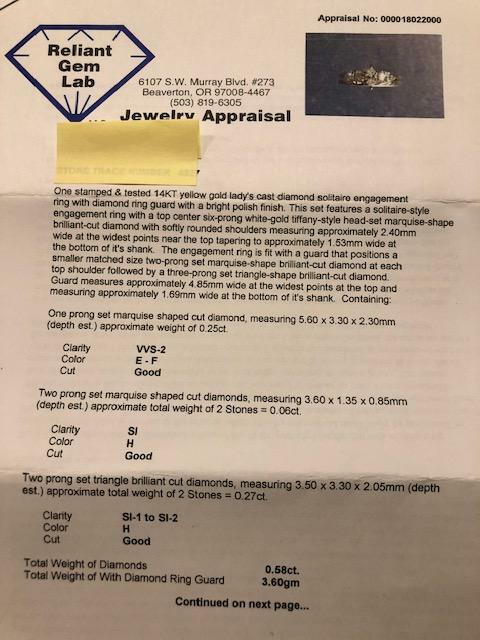 He personnally selected the .25 marquise diamond to ensure its quality. The custom guard was made a number of years later. Hate to let these go but have no one to pass them down to and would rather someone else enjoy them.